Maybe you're feeling tired and having trouble concentrating — or perhaps you've noticed changes in your hair or weight, or just feel blah. You might easily attribute these issues to other health problems, or to simply getting older. But these symptoms can be signs of a sluggish thyroid. The thyroid is a butterfly-shaped gland in the neck. It produces the hormones that regulate metabolism. Low levels of thyroid hormone can cause a range of symptoms, including fatigue, constipation, dry skin, brittle nails, hair changes, aches and pains, and feeling down. 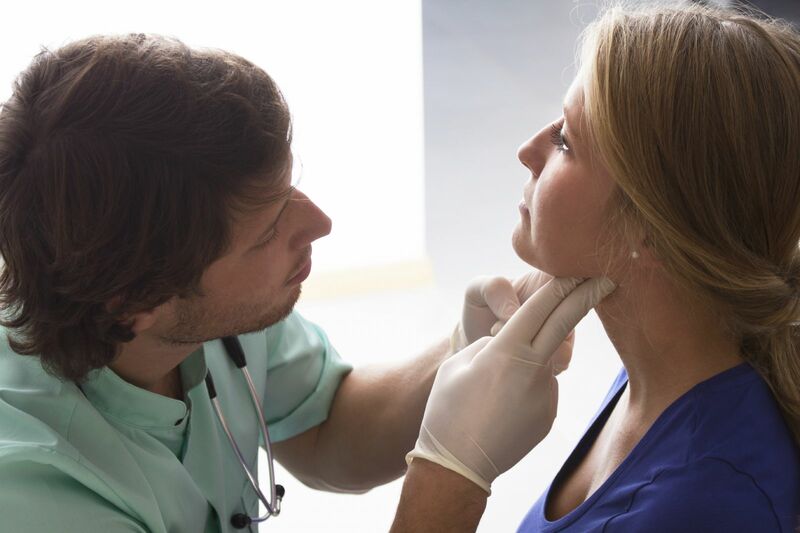 Untreated, an underactive thyroid (hypothyroidism) can increase the chances of developing high cholesterol, high blood pressure, and heart disease. Fatigue. You may feel unusually tired and have less energy. Cold intolerance. You may feel chilly even when others around you are comfortable. Appetite loss, weight gain. When metabolism is dragging, you need fewer calories so your appetite may decrease — at the same time, you are using fewer of the calories you do eat, so more are stored as fat. Cardiovascular effects. Low levels of thyroid hormone can lead to high blood pressure as well as elevated levels of total and LDL cholesterol. Over time, an underactive thyroid can compromise the ability of the heart to pump blood effectively. Mental effects. Hypothyroidism and depression share many of the same symptoms, including trouble concentrating, memory problems, and loss of interest in things that are normally important to you. Other signs and symptoms. Hypothyroidism can cause symptoms throughout the body, from constipation to muscle aches and pain around the joints. Skin, hair, and nails may become dry and thin. If you have any of these symptoms, see your doctor. She or he will examine you for signs of hypothyroidism, and may recommend blood tests to check thyroid function. Hypothyroidism is usually treated with a daily dose of synthetic thyroid hormone, which is taken as a pill. This medication works exactly like your body's natural thyroid hormone. It may take some time to find the right dose for you. Once you do, symptoms usually improve dramatically. Your doctor will check your thyroid function usually once or twice a year to be sure that your dose of medication remains optimal. For more on steps to a longer and healthier life, buy A Guide to Women's Health: Fifty and Forward, a Special Health Report from Harvard Medical School.